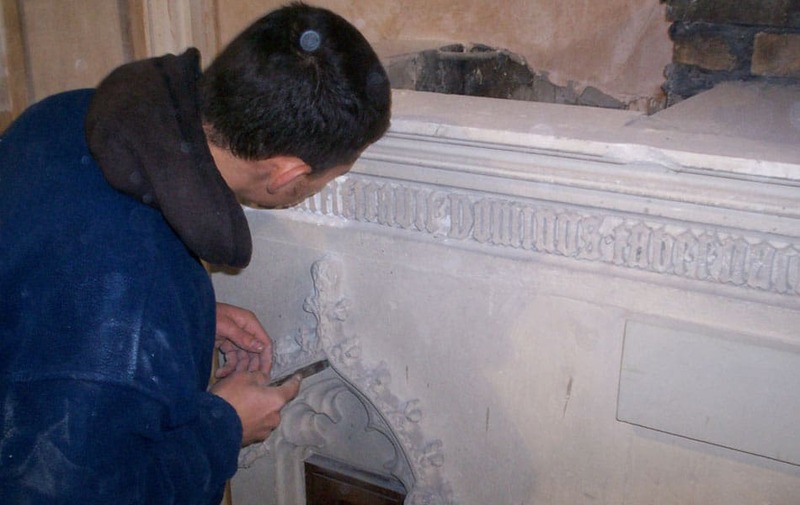 When the main detailed carved stone canopy over the central altar suddenly collapsed and fell over 5m crashing to the floor, smashing into hundreds of pieces, the painstaking repair and restoration of The Altar of Our Lady in St Patricks Church reinstated this historically important clerical artefact. 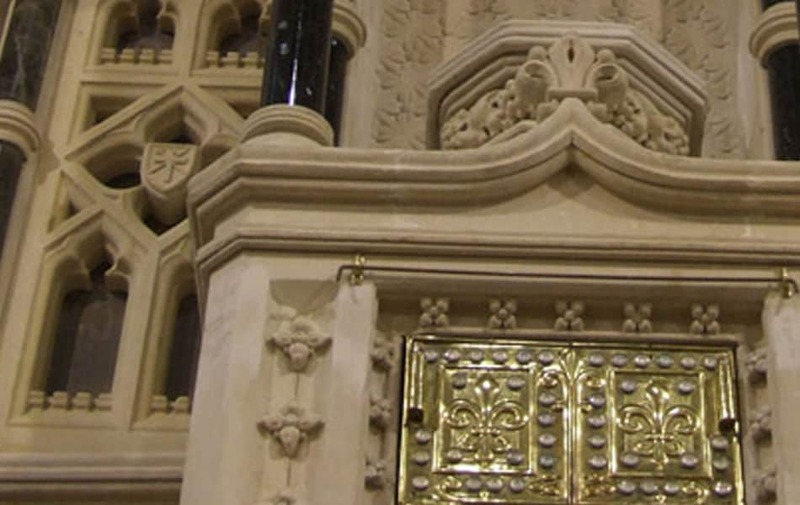 When it was ready for reinstating, the rest of the main altar as well as the two smaller side alters were also fully renovated and restored to their original glory. Years of paint, grime, carbon deposits and debris were carefully removed to reveal the original beautiful sandstone and inlaid polished marbles and granites.